Scope of License. You acknowledge that all information published on this Site (collectively, the “Information”) is protected in Israel and internationally by a variety of laws including, without limitation, copyright laws, trademark laws, patent laws and other proprietary rights laws. Accordingly, any unauthorized use of any such Information may violate any of such or other laws. The Information is provided by Ravon for informational purposes only (the “Purpose”). This is a license, not a transfer of title. You acknowledge that there may be situations where the Information is subject to change, qualifications, variations, adjustments or modifications without notice. Moreover, you acknowledge and agree that the Site and the Information contained thereon may contain errors, omissions, inaccuracies, mistakes or deficiencies. Accordingly, you hereby acknowledge and agree that these risks and exposures exist while utilizing this Site, that your use of this Site is subject to such risks and exposures, and that Ravon will have no liability on account of any of the foregoing, and that this Site should be used as a guideline only. Trademarks. Any trademarks, logos, slogans, product designations and service marks (collectively “Marks”) displayed on this Site are the property of Ravon or other third parties. You are not permitted to use these Marks without the prior written consent of Ravon or such third party which may own the Mark. This Site may contain information and disclosures of parts, methods or other technology which may be the subject of intellectual property protection owned by Ravon. Links to Third Party Sites. This Site may contain links to other third party websites (“Third Party Sites”). Ravon makes no representations about any Third Party Sites or the content thereof which you may access through this Site. You acknowledge that Ravon has not reviewed these Third Party Sites, has no control over such Third Party Sites or the content thereof, and is not responsible for any of these sites or their content. Accordingly, you acknowledge and agree that access to any Third Party Site is at your own risk and Ravon shall have no liability therefor. Ravon is not responsible for the accuracy, reliability or completeness of any information, data, opinions, advice or statements made on these Third Party Sites. Neither Ravon nor its affiliates shall be liable for any damages or injury arising out of or relating to the content of any Third Party Site or your use thereof, and same are hereby waived. Ravon provides these links merely as a convenience and the inclusion of such links does not imply an endorsement, sponsorship or recommendation by Ravon of anything contained on Third Party Sites, or its products or services. Ravon reserves the right to terminate any link at any time. Moreover, a Third Party Site may provide a link to this Site (“Links”). This does not indicate an endorsement, authorization, sponsorship, affiliation, joint venture or partnership by or with Ravon. In most cases, Ravon is not aware that a third party has linked to this Site. You acknowledge and agree that neither Ravon nor its affiliates shall be liable for any damages or injury arising out of or relating to your use of this Site resulting from a Link to this Site from a Third Party Site, and same are hereby waived. Ravon cannot guarantee that any of the Third Party Sites or Links will be free from any viruses, time bombs, trojan horses, worms or any other damaging computer programming routines or harmful components. Moreover, Ravon does not make, and you hereby expressly waive, any and all representations and warranties with respect to the availability, use, accuracy, reliability, or the results of the use of, the Third Party Sites and the Links and same are hereby waived. Accordingly, Ravon hereby disclaims all warranties, express or implied, arising by operation of law or otherwise, including, but not limited to, the warranties of merchantability, fitness for a particular purpose and warranties concerning infringement or the like, all of which are hereby waived. Downloading. To access certain information on this Site, you may need to download such information onto your own computer. You acknowledge and agree that your right to download information from this Site is strictly limited to the Purpose and for no other purpose whatsoever. Information which is downloaded may only be displayed by you for the Purpose, provided it is not modified in any way and that all notices are maintained without change including, without limitation, copyright notices. You also acknowledge and agree that any Information downloaded from this Site is done at your own discretion and risk and you are solely responsible for any loss of data or damage to your computer that may result from the download of such information. 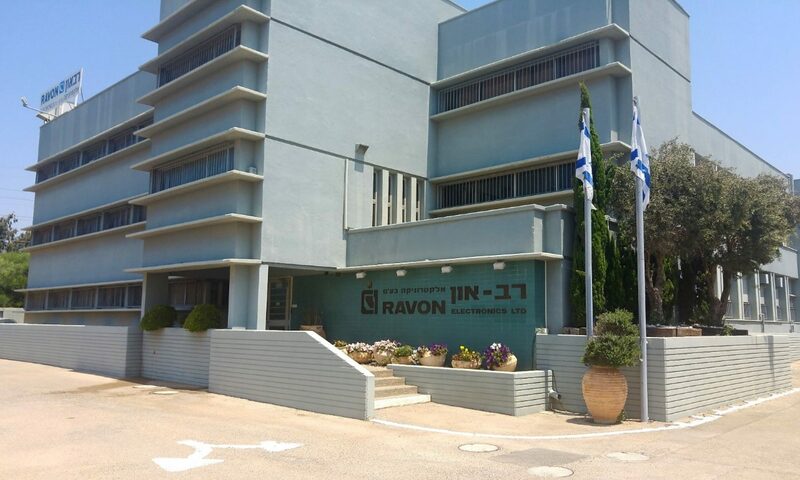 Ravon makes no representation that Information in this Site is appropriate or available for use outside of the State of Israel. Access to this Site is prohibited in any territories where the content of this Site is illegal. User agrees to be bound by all applicable laws and regulations that may pertain to the Site, including without limitation applicable Israel export laws and regulations. If you choose to access this Site from outside of Israel, you do so on your own initiative and are responsible for compliance with applicable local laws. Ravon’s obligations with respect to its parts are governed solely by the agreements it enters into with its customers and vendors. The rights and obligations concerning the sale of parts to you by Ravon are governed by Ravon’s standard terms and conditions, which are applicable. A copy of these terms is available upon request and located on the reverse side of Ravon’s invoices.